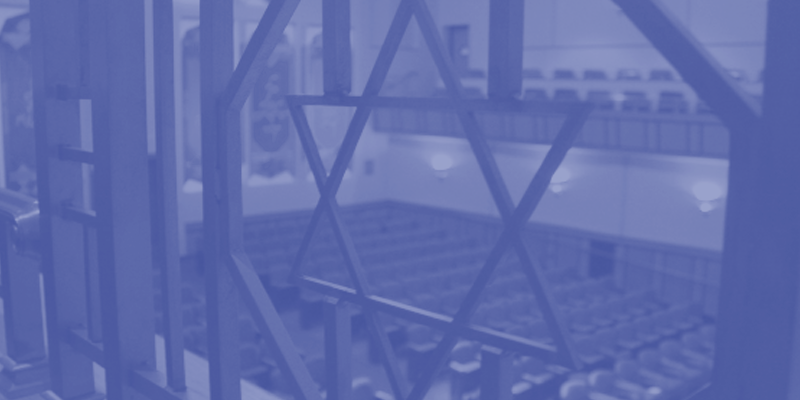 Long recognized as the leader of the Pittsburgh Jewish community, members and rabbis of Rodef Shalom have always been committed to improving the lives of others. From our earliest days, our temple has set the standard for being a congregation whose members share themselves with others generously. Through social action projects such as partnering with Jewish Family and Children Services to help recent immigrants to Pittsburgh on their road to citizenship, conducting a multitude of needs-based product drives throughout the year, and cooking and serving a monthly meal at East End Cooperative Ministry, we are ensuring that there are ways for everyone to help out. In conjunction with the Religious Action Center, Rodef Shalom has rallied against gun violence and supported immigration justice. We are champions for LGBTQ+ rights and marriage equality, and promote the inclusion of persons with disabilities. 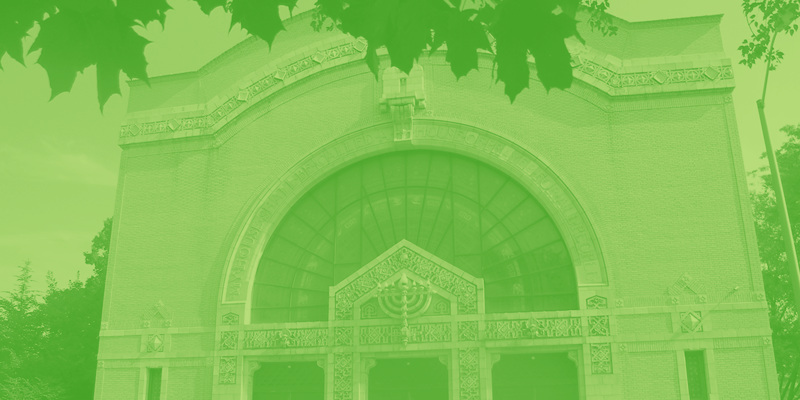 Rodef Shalom is a member of the Pennsylvania Interfaith Impact Network and East End Cooperative Ministry. The Torah and Jewish tradition are explicit in commanding that we feed the hungry. "And when you reap the harvest of your land, you shall not reap all the way to the edges of your field, or gather the gleanings of your harvest; you shall leave them for the poor and the stranger. I the Eternal am your God. (Leviticus (23:22)" In Isaiah 58:7, God commands us to "share [our] bread with the hungry and bring the homeless into [our] house." Deuteronomy 15:7-10 elaborates on our commitment to helping the hunger person amongst us. The text states, "If there is among you a poor man, one of your brethren...you shall not harden your heart or shut your hand against your poor brother, but you shall open your hand to him, and lend him sufficient for his need, whatever it may be." he Talmud explains that each Jewish community must establish a public fund to provide food for the hungry, and our sages explain that feeding the hungry is one of our most important responsibilities on earth: "When you are asked in the world to come, 'What was your work?' and you answer: 'I fed the hungry,' you will be told: 'This is the gate of the Lord, enter into it, you who have fed the hungry'" (Midrash to Psalm 118:17). The Union for Reform Judaism has long advocated for children, the poor, the elderly, the sick, the disabled, and the "stranger among us." In 1965, we affirmed that the amelioration of poverty is a societal obligation not of charity but of justice. We have also called for social welfare entitlement programs (1965) and income maintenance programs wholly or largely financed by the federal government to meet the basic need of those who are unable to work and those working with inadequate income (1971). In 1981, we opposed policies "that place an unfair burden on the unemployed, the poor, the near-poor, minorities, and the elderly and children." In 1995, we affirmed our economic commitment to America's poor and called upon the United States government to maintain its responsibility to ensure an adequate, federally guaranteed safety net to protect our nation's most vulnerable populations. We also opposed the use of block grants to the states when such grants were used to end entitlement programs or as a means to decrease the obligations of the federal and state governments to the poor, the sick, the elderly, and the disabled. This was reaffirmed in the most recent Union resolution on poverty, the 2003 "Resolution on Confronting and Combating Poverty in the United States," in which the Union resolved to "oppose changes to the ... Child Nutrition programs ... that would harm eligible families or individuals who are poor or shift federal responsibility for these programs to the states." Resources provided by the Religious Action Center of Reform Jusiadm. Ready to roll up your sleeves and make a difference? Yael can help you plug into our community's social action efforst.